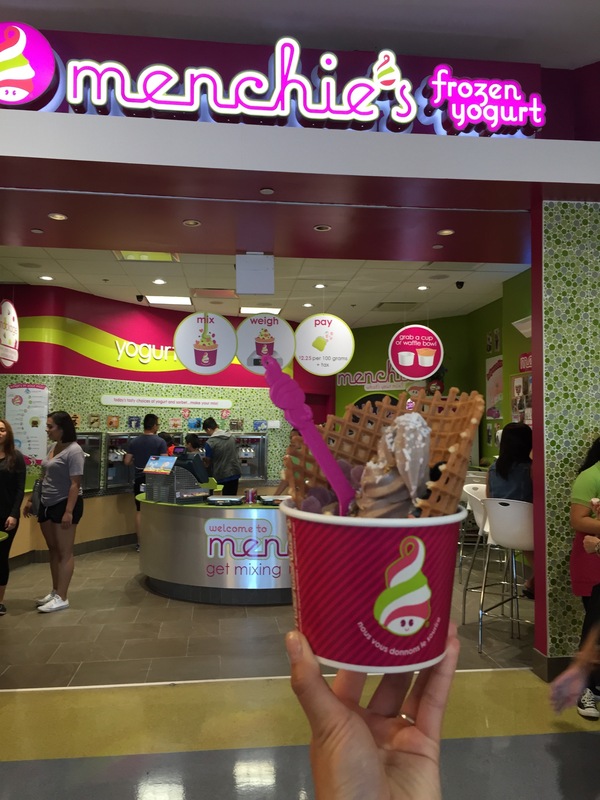 Menchie’s opened its new location inside Metropolis at Metrotown last Saturday. The franchise originally from California, has expanded quickly, with 26 locations in BC, and 4 more coming soon. There are many flavours to chose from, everything from non fat, low fat and sorbet flavours.This summer, Menchie’s introduced a new flavour: Oreo Cookie. Summer is the best time for froyo and I gotta admit I’ve been indulging. I love the new Oreo Cookie frozen yogurt! 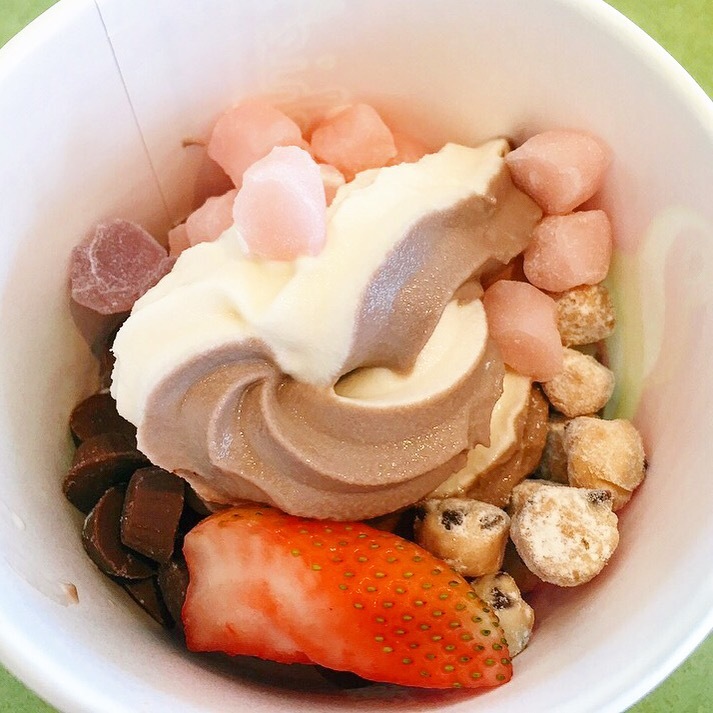 There are also many toppings to chose from – like fresh fruit, cookie batter pieces, peanut butter cups, even mochi. The Menchie’s Canada VIP pass is good for 7 free visits. Contest ends August 15, 2015 at 5pm. Want even more free yogurt? Twitter or Instagram your oreo cookie Menchie’s creation with #Menchiesmyway and #OreoMenchies for a chance to win! UPDATE: Congrats @buttagal – you’ve won the giveaway! Thanks to everyone who entered. chocolate bits! i’d take my mom. I would take my daughter for froyo! I’d take my nephews out for a treat! Definitely I would take my sister and brother …! We all love a good treat! Thank you for the chance. I’ve been a long time fan of Menchies! My wife and I love Menchies..of course we would go together. Everything chocolate for me. Fruit and nuts for her. I would take out my mom. I would take my son Theo. I would love to take my kids for a treat there! 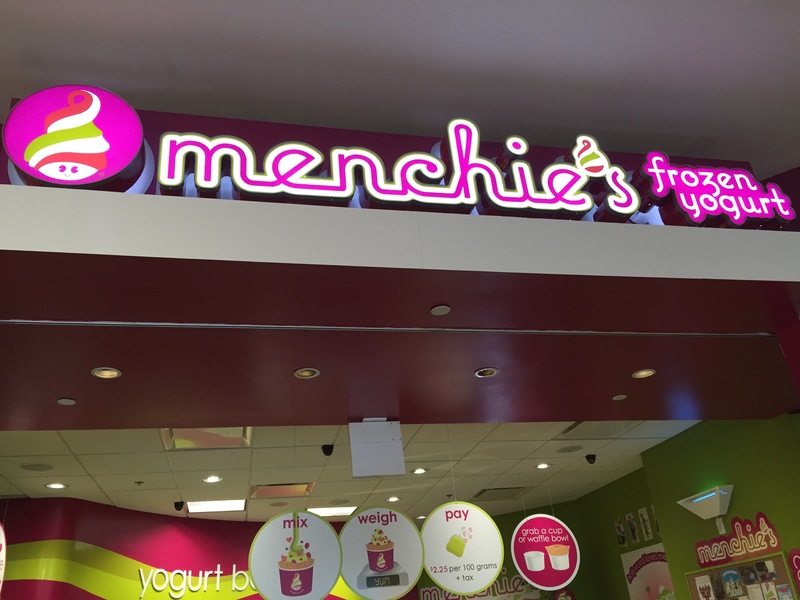 We just got a Menchie’s close to here that recently opened & we’ve been waiting excitedly to try it! I’d take my mom out for frozen yogurt. I would take my better half, who can’t get enough of froyo ! I would take out my nieces. They would like to go out for frozen yogurt on a hot day. I would take my kids. They would love it! 4. I would take my son out for froyo. He just loves Menchies. Every time we pass one, he has to point it out. I would take my son out for Menchies. He just loves that place! I tweeted and I follow you and Menchies on twitter. I would take my boys out for froyo. I would take my fiance! He’s never tried Froyo! I’d take my partner out for froyo. There’s nobody else I’d rather take. Love Menchies! Thanks for the contest! 4. I’d take my friend & her daughter who loves froyo! I would take my sister and brother! I would take my hubby because he has never been to Menchies!! I would take my nephew – he’s a huge fan of Menchies. Thanks for putting up this contest! I’d take my grandmother – she loves froyo! I would take my boyfriend. We always enjoy frozen treats together. I’d take my father – he’s got the biggest sweet tooth besides me. I’d take my sister. She loves anything frozen and creamy! i would take my husband, we both love froyo! I would love to take hubby on some Menchies Froyo dates! I would take my niece, she loves going to Menchie’s.